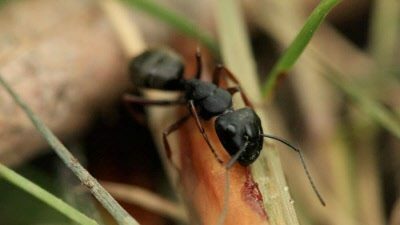 << Back I Heard That Black Ants Eat Termites. Is This True? Since termites are much weaker species compared to the black and they have developed an interesting strategy to defend themselves. Termites have evolved over the years and now create protective tubes to produce soldier termites that defend the colony in case of an attack by other ant species. If the queen happens to be killed during one of these attacks the termite eggs are used to feed the existing ants that are currently alive in the colony.